In our line of work, we meet with so many interesting, committed, passionate people. Last week, we had one of those meetings – with Kristy Wiegele and Georgi Wardrop from St of John of God’s Mt Lawley Hospital (pictured). These midwives were already *full bottle* on modern cloth nappies; they were just missing the actual nappies to show their parents-to-be. Not anymore! 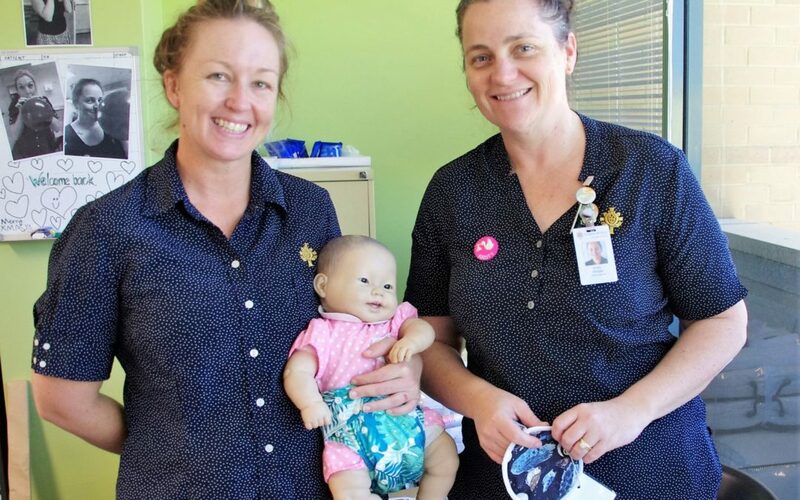 Thanks to a project funded by the Waste Authority, Green Skills has provided them with a Cloth Nappy Demo kit – specially for Antenatal Educators, full of modern nappies and the information parents need to use them.